A journalist who turned into a PR professional and handled corporate communications and PR roles with leading edge companies like Bharti, Google, Evalueserve and now a traveler and natural-history photographer – Shivang Mehta has worn many professional hats. His love for the forests of Kumaon pushed him to choose Corbett as his main area of work and he left the cozy comforts of corporate offices to work on the field with his organisation Nature Wanderers which he started in 2007. 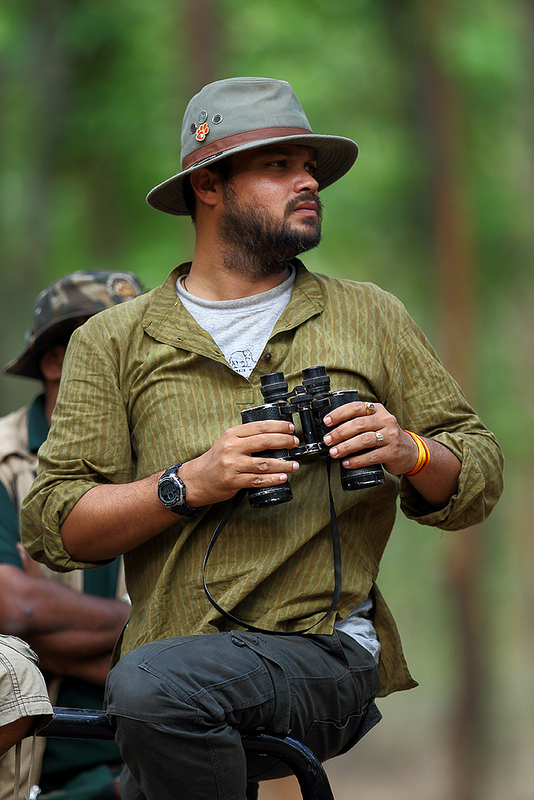 Over the past 15 years Shivang through Nature Wanderers has conducted over 500 wildlife photography workshops in the past decade and is now an official trainer for Canon India as he conducts wildlife photography workshops in association with Canon across India, Sri Lanka and Africa. His love for photography, writing and story telling made him a freelance journalist as well as he has written travel notes, columns on travel and conservation for numerous national and international publications. Visit http://www.facebook.com/shivangphotography for his regular field updates and www.naturewanderers.com for joining him for photographic safaris. Shivang is the author of the book – A Decade with Tigers – which showcases the life history of some of the prominent tigers of India. The book went on to become an Amazon bestseller in India. Shivang Mehta currently grooms young amateur photographers who are working with him for his projects around rare species photo expeditions like Red Panda, Fishing Cat, Phyr’s Leaf Monkey, Snow Leopards and many other unique species. Shivang Mehta also conducts specialised advance field training sessions on DSLR camera trap photography and other forms of unique camera technologies for photographers who wish to explore these new dimensions of wildlife photography. Shivang is now a Canon Photo Mentor and has been listed in the Canon Panel of expert photographers to promote the culture of photography in India. Visit http://www.edge.canon.co.in for details. Shivang Mehta’s flagship set-up Nature Wanderers (NW) pioneered the concept of wildlife photography tours a decade ago and since then NW has conducted more than 400 field photography workshops and expeditions across various genres of nature photography catering to over 2000 amateur photographers across India. NW has also organised the annual India’s Only Live Photography Contest called Canon Wild Clicks since 2010 which has become a competition of repute and credibility over the years because of its transparent judgement and field photography mentoring by an expert panel of mentors. Visit www.naturewanderers.com to know more about NW photo tours. Dear Shivangji ! Now I am fan & follower of yours. But as I am a Doctor by profession , so I can’t make out more than 10 days of holiday from my hospital , once every 6 months. What’s the best way out for me ———–Dr. Tuhin Bhattacharya, Siliguri, WB. Dr. Bhattacharya – 10 days in 6 months is good enough for spending time and knowing nature from close quarters. You are welcome to be a part of my expeditions. Visit http://www.naturewanderers.com for details. I would like to personally congratulate you as your blog Shivang Mehta Photography has been selected by our panelist as one of the Top 100 Wildlife Photography Blogs on the web. Thanks for the note. I am glad to know that the blog has been rated amongst the best globally. Cheers to your initiative. I would like to personally congratulate you as your blog Shivang Mehta Photography has been selected by our panelist as one of the Top 100 Nature Photography Blogs on the web. Really Really Good work of yours I just love this Caption is lovely too and Yeah moment capturing level is awesome, Thank You so much for sharing this lovely photos.